Home > Blog > Hello June! Summer is well and truly here, hooray! We're looking forward to days filled with sunshine, ice creams and meals al fresco! As ever we've got a busy month ahead, working on lots of new products and we will be launching our annual seconds sale! Next week we are going to be adding a brand new wedding collection of pretty pink ombre pouches so keep your eyes peeled for those. We will also be getting ready for another exciting project due to be with us next month - baby number two! Say hello to June's beautiful birthstone, the very pretty pearl! 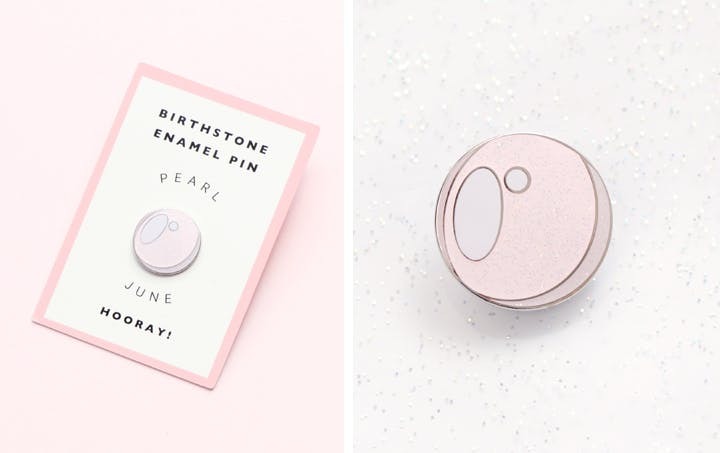 We found the pearl to be the trickiest birthstone to design and it took quite a few samples to get right, but we're so pleased with how it turned out! 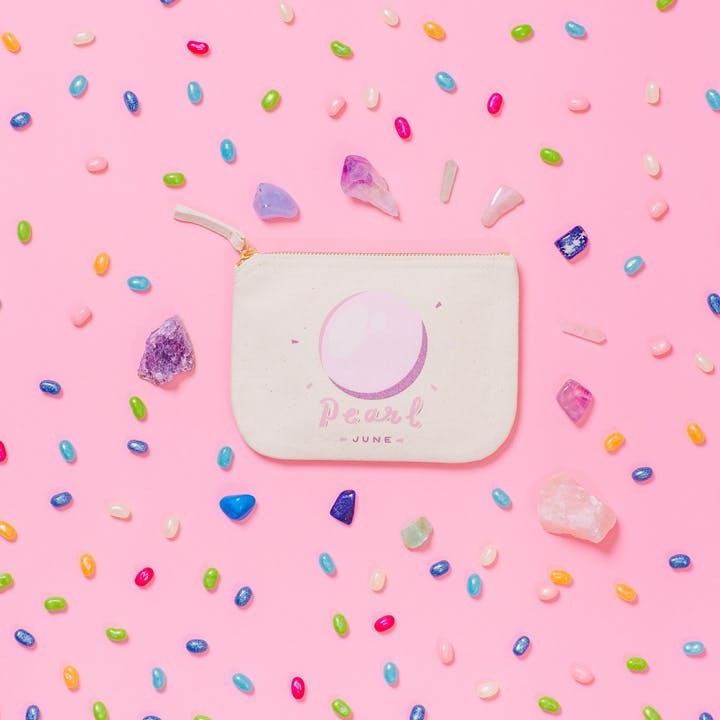 Our pearl design is available on a very handy little canvas zip pouch, the perfect birthday gift when stuffed with treats! 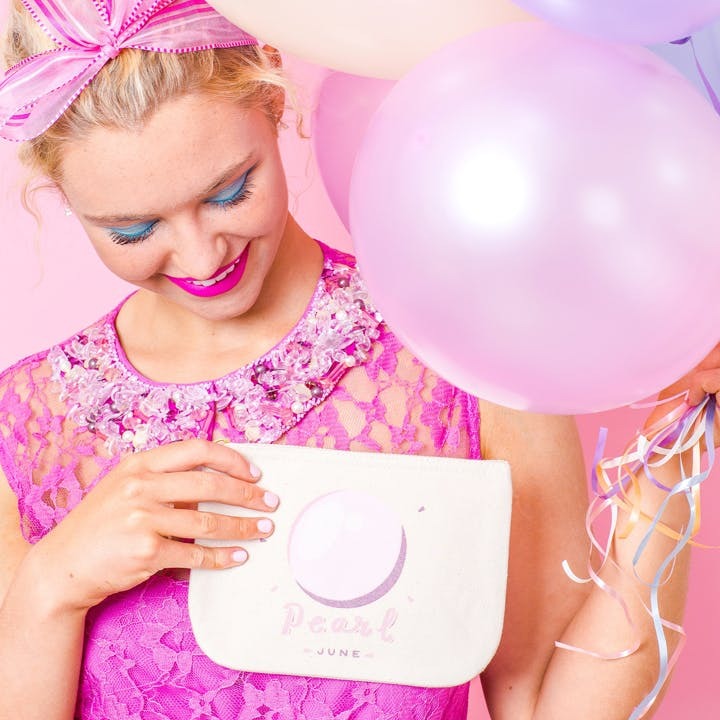 To have a look at and purchase the Pearl pouch just click here. The design is also available as a super special enamel pin! Our sparkly birthstone pins are sweet little jewels that will jazz up any outfit or accessory. Made from high quality hard enamel and silver toned metal with sparkly glitter. To take a closer look at this lovely little pin click here. Here's to a wonderful month!